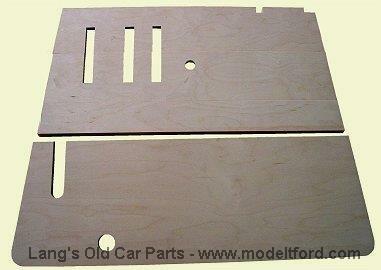 Begining with the 1926 model year, Ford standardized the front floorboards on both the open and closed cars. Thus, the Coupe, Tudor, Touring and Roadster all used the same set of floorboards. 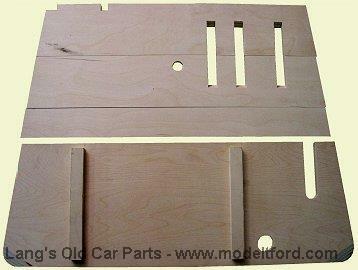 The only model that used different floorboards were the Fordor sedan. The 1926 model floorboards continued through the 1927 model year. Our Quality reproduction floor boards are manufactured to fit exactly like the originals. These plywood floorboards offer a less expensive alternative to the original hardwood versions. They are are made of furniture grade 5/8 birch plywood and are dimensionally the same as the originals.